Products made from corn are improving lives, the environment and even your Valentine’s Day. Whether it’s chocolate, those irresistible candy sweethearts, a greeting card or a delicious beef or pork dinner, chances are those items were made from corn. Chocolates in the heart-shaped box have been sweetened by corn sugar. The candy sweethearts are made from corn sugar and starch. Some greeting cards are made from fiber, another domestic product made from corn. When you sit down to eat that beef or pork, most likely the animal was nourished with corn. Now it’s no secret that by the time you add in flowers, expenses can really add up on the day of love, so save some money by filling your car with clean-burning, American-made, corn ethanol before heading out on your date. These are just a few of the ways that corn enhances not only your Valentine’s Day, but everyday as literally hundreds of products have been enriched by this abundant, renewable and affordable crop that the world has grown to utilize and depend on. 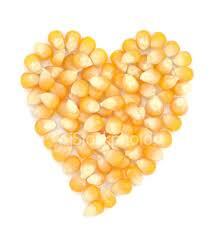 This entry was posted in Education, News and tagged corn, corn sugar, ethanol, farm, valentine's day.